Harold Gene Offield was born in Breckenridge, Texas on October 3, 1936 to James “Doc” Offield and Sybil LaFawn Toland Offield. He left this life to life everlasting on Dec. 29, 2018. The service will be held on Thursday, January 3, 2019 at the First Presbyterian Church of Breckenridge, TX at 10 a.m. with a graveside at the Breckenridge Cemetery. Visitation will be held from 6 p.m. to 7:30 p.m., Wednesday, January 2nd at Morehart Mortuary. Arrangements have been entrusted to Morehart Mortuary of Breckenridge. Harold graduated from Breckenridge High School in 1954. He went to Texas A&M and graduated with his Mechanical Engineering degree in 1959. Harold made his home in Odessa, Texas working for Phillips Petroleum as a pipeline engineer. He later joined Texaco, where he was the first loanee, and designed and built pipelines across Texas and the United States. He was transferred to Dhahran, Saudi Arabia as a Project Engineer in Design and Construction of large pipelines across the country. Upon retirement, he returned to the States in 1979 and married his wife Audrey O’Hare on May 20, 1980, whom he met in Saudi Arabia. Harold and Audrey made their home in Breckenridge, Texas. 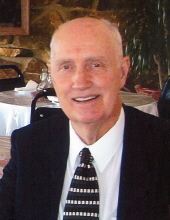 Harold was an Elder and an active member of the First Presbyterian Church in Breckenridge, Texas. Harold took over the family business of Offield House Moving & Leveling for over 30 years. Harold was preceded in death by his parents, James “Doc” Offield and Sybil LaFawn Toland Williams; a brother, Jackie Wayne Offield; and a son, Mark Nathaniel Offield. Harold is survived by his wife, Audrey Offield of Breckenridge; a brother, Dale Offield and wife Edie Offield of San Antonio; two step brothers, David and Dan Williams of Brownwood; five children, Kathy Frishe of Breckenridge, David Offield of Breckenridge, Sandee Barberio of West Virginia, Vickie Offield of West Virginia, and Alanna Offield of Northern Ireland; four grandchildren, Brandee Williams and husband Toby Williams, Christopher Offield, Patrick Frishe and wife Beverly Frishe, and Hickory Offield; four great grandchildren, Cassie Taylor, Jaydon Frishe, Dakota Sullivan, and Landon Offield, and many close friends. Memorials may be made to Meals on Wheels and may be left at Morehart Mortuary. Condolences may be made online at www.morehartmortuary.net. "Email Address" would like to share the life celebration of Harold Gene Offield. Click on the "link" to go to share a favorite memory or leave a condolence message for the family.